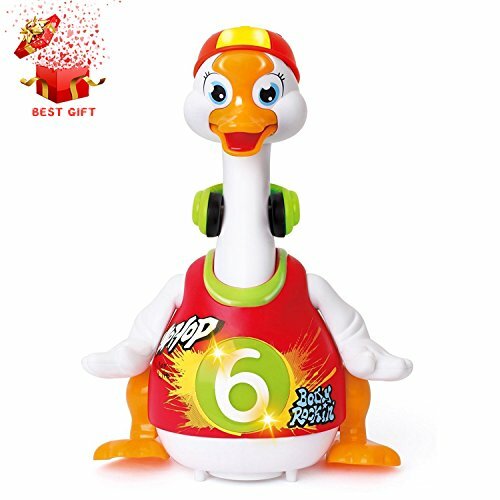 Tips From Early Educational Experts: The street dance music with distinct rhythm, the lively and funny Goose’s language and actions, humorous and interesting character, and the humanized interactive game. The game can teach baby to love animals and be good to other peoples. 1. Flexible Walking Action: Universal moving function an attract baby to crawl, walk, and chase. Exercise baby’s limbs coordination and body balance. 2. 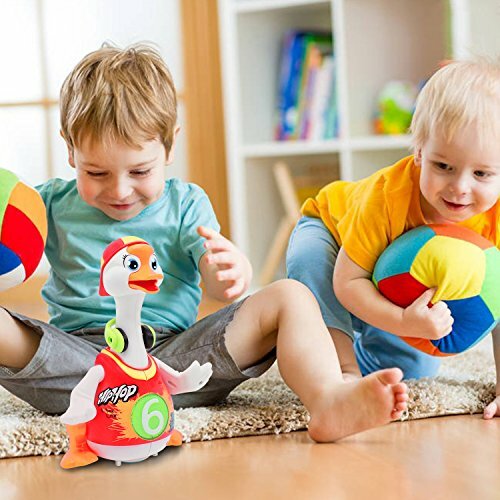 Standby Mode: In Mode 1, if baby do not play with Dancing Goose for a long time, the Goose will play voice prompts. If still without any operation, Dancing Goose will enter into the dormant state. 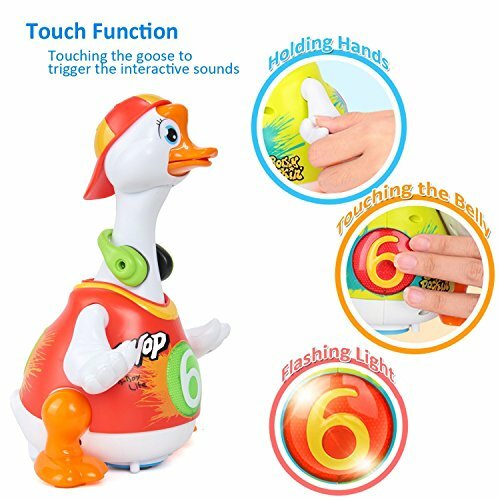 Hold and lift the Goose’s neck to wake up the Goose. 3. Body Movement: With music rhythm and voice content, the body action and dance posture can simulate baby’s imitation and imagination. 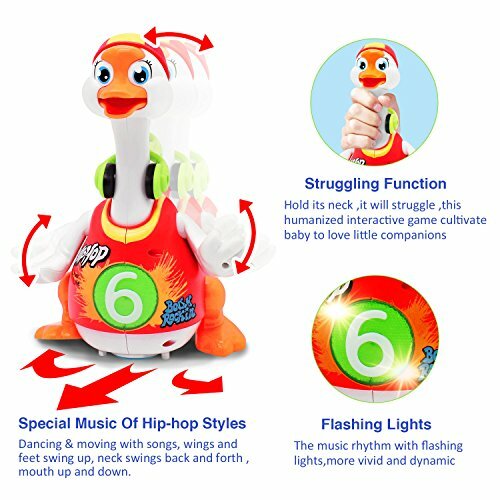 The hip-hop movement is more interesting, vivid and lively, which can attract baby to dance. 4. 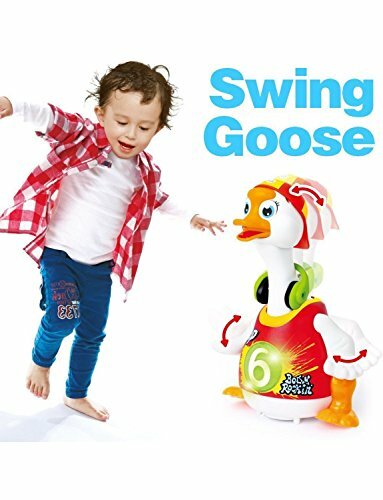 Gross Motor Development: Imitating and chasing the Goose can exercise baby’s limbs large motor skills, and stimulate baby’s large muscle development. 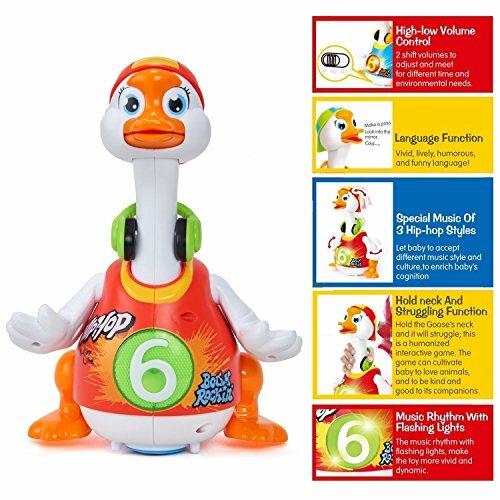 Special Music of 3 Hip-hop Styles: Let baby to accept different music style and culture, to enrich baby’s cognition. Hold Neck and Struggling Function: Hold the Goose’s neck and it will struggle; this is a humanized interactinve game. The game can cultivate baby to love animals, and to be kind and good to its companions.